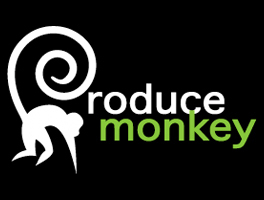 ProduceMonkey.com is bringing a new swing on social media marketing to the produce industry with its official May 1 launch. "Having my vision from years ago become a reality is surreal," said Ben Silva, founder of ProduceMonkey.com. "It's a privilege to bring a tool to make buying and selling produce accessible, anytime and anywhere, to the produce community." Produce Monkey has many effective tools needed for today's top produce professionals. With heavy concentration on transaction communication, creating and receiving purchase orders, order confirmations, bills of lading and passings is easy. Produce Monkey buyers and sellers will have the advantage of staying on top of current marketing trends such as pricing, statistics, historical data and commodity information via a unique real-time online ticker. "As a Blue Book registered developer, Produce Monkey has developed a real-time integration with Blue Book Services, allowing Produce Monkey users to quickly assess the current Blue Book rating of other users," said Mark Erickson, senior vice president and chief information officer at Blue Book Services, based in Carol Stream, IL. "We are excited to be the exclusive news provider for Produce Monkey, and we believe this has the potential to greatly improve the way buyers and sellers communicate," said John Groh, editor and publisher of The Produce News, based in Oradell, NJ. Over the past 10 years, social media has become the leading and most powerful form of communication for strengthening both personal and business relationships. Produce Monkey combines the power of social media with some of the most essential and effective tools needed for today's top produce professionals. "With the integration of social media into the tools within Produce Monkey, it allows growers, packers and shippers to quickly and efficiently interact and move product," said Mandy Critchley, owner of MC Solutions, the development company for Produce Monkey. The Produce Monkey smartphone app is currently available for both iPhone and Android platforms. A more extensive version of the smartphone app, with all features currently available on the web platform, will be available by June 1.